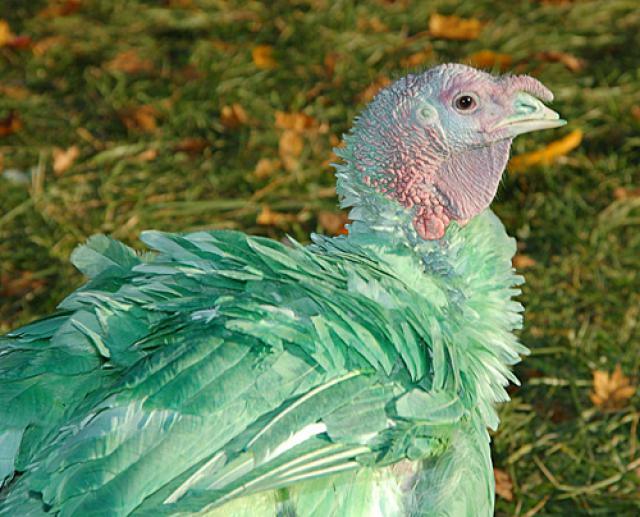 You don’t have to go cold tofurkey to green your Thanksgiving meal. Try these seven ways to have a celebration full of all your favorite Thanksgiving traditions — while putting some eco-friendly twists on your feast. Can a turkey dinner help fight climate change? It can when it’s made using foods that have a low carbon footprint. Wondering if it’s greener to opt for Tofurkey or a free-range, local heirloom turkey? Resources like the Cool Foods Campaign can help. Next day while munching that first t(of)urkey sandwich, share how low you were able to go (and how your guests liked your green meal) with others at 100-Mile Diet Thanksgiving Challenge. The campaign connects thousands of people across the continent trying to green their Thanksgiving with close-to-home food — anything from a single dish to an entire feast. Using fresh veggies instead of canned is another way to green your meal: Commercial canning of vegetables uses 3 billion kWh of energy per year — enough to run 8,571,428 refrigerators for an entire year! Organic produce is grown without pesticides or synthetic fertilizers, and organic turkeys are raised without antibiotics or growth hormones. Disposable roasting pans are inexpensive and readily available on grocery store shelves, especially this time of year. But if everyone in the United States used a disposable roasting pan to cook their Thanksgiving turkey, there would be 46 million tinfoil pans heading to the landfill every year. Instead, buy a heavy-duty roasting pan you can use every Thanksgiving (or anytime you feel like cooking a bird or roast). Or you can borrow a roasting pan and thank your mom, sister, friend neighbor for having a well-stocked kitchen! Paper plates and napkins sound like a good thing when you’ve been slaving over a hot stove all day — but their environmental impact is huge. Same for paper napkins. The average American uses 2,200 two-ply paper napkins per year — which adds up to 662 billion napkins being added to the landfill on an annual basis. “It’s far more eco-friendly to wash your china in the dishwasher than to buy paper products and throw them away when you’re done,” Riley says. If you must use disposables, use napkins made from unbleached recycled paper and “look for cornstarch-based compostable plates and silverware and be sure to dispose of them in the compost bin, not the trash,” Riley says. (Note that these corn-based “plastics” don’t break down well in many small residential compost bins, but at a commercial composting facility where temps get higher, they transform into mulch very nicely along with everything else in the pile. If you don’t have curbside composting pickup services in your area, check out this article on zero waste programs for resources. Conventional silver polish contains harsh chemicals such as ammonia. Choose a silver polish made with natural ingredients to get your best silver to sparkle for Thanksgiving dinner. Or make your own: To clean a few small pieces of silver, use a dab of white toothpaste. Squeeze a drop of toothpaste on your finger and rub it onto the silver for instant polish. If you have a lot of silver to polish, boil a few strips of aluminum foil and two tablespoons of baking soda in a pan. 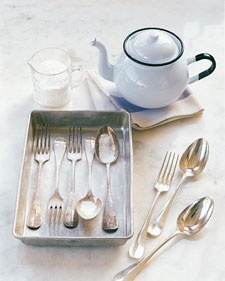 Add your silverware and let it sit for a few minutes to remove the tarnish. You’ll probably have lots of leftover turkey and mashed potatoes. Every year, Americans use enough plastic wrap to cover the entire state of Texas. 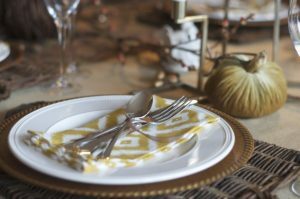 Instead of sending your guests home with leftovers piled on paper plates, covered in plastic wrap, ask them to bring their own to-go containers. There are bound to be some leftovers that outlast your family’s hankering for turkey dinner and all the fixin’s — not to mention kitchen scraps like potato peels, stuffing stuck on dinner plates, and the cranberry sauce Junior wouldn’t allow within a foot of his mouth. Think twice before tossing scraps and leftovers in the trash. Leftover potatoes, carrots, green bean casserole and cranberry sauce can be composted — but note that meat and dairy products should not be added to home compost piles or bins. Original article by Jodi Helmer on gaiam.com.